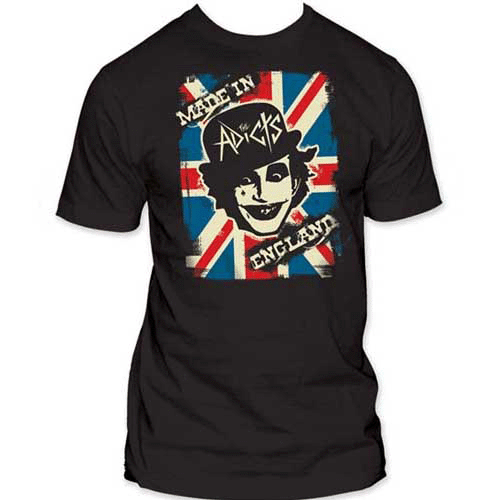 The Adicts are an English punk rock band from Ipswich, Suffolk, England. The Adicts began life as the Afterbirth & The Pinz, in their hometown of Ipswich in late 1975. Popular in the 1980s, they were often in the indie charts at that time. They soon changed their name to The Adicts and became known for their distinctive Clockwork Orange 'Droog' image, which, along with their urgent, uptempo music and light-hearted lyrics, helped set them very much apart from the rest of the genre. Temporary 1980s name changes to 'Fun Adicts' and 'ADX', mainly to coincide with children's TV appearances, also occurred. The band still has all its original members, uncommon for a band with such longevity.